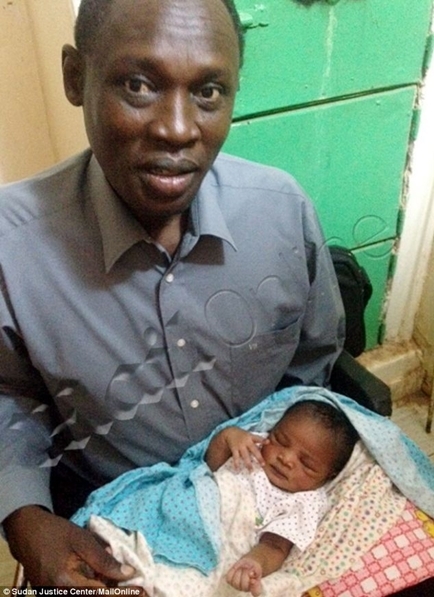 Sudanese woman sentenced to die for Christian faith TO BE FREED!!! 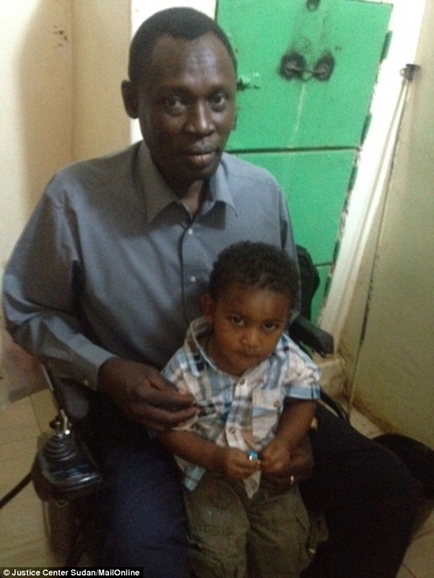 May 31, 2014 9:20 pm / 5 Comments on Sudanese woman sentenced to die for Christian faith TO BE FREED!!! Wonderful news! Being a VOICE and most important, our prayers matter. NEVER stop praying! At this critical time let’s continue to pray until she is actually released. Sudanese authorities are to free a woman who was sentenced to death for having abandoned the Islamic faith, a foreign ministry official has said. TE DE FUERZAS CADA DÍA Y TE GUARDE EN LO MAS OCULTO DE SU MORADA,, Y EL SEA TU REFRIGERIO CADA DÍA, Y DESDE ARGENTINA LEVANTAMOS TUS BRAZOS PARA QUE GANES LA BATALLA, QUE TU FIEL AMIGO EL QUE EN TE CARGO QUE HICIERES, EL DE LLEVAR BUENAS NUEVAS A LOS POBRES, DESEO QUE EL SEÑOR HAGA RESPLANDECER SU ROSTRO SOBRE TI. AL IGUAL QUE NAGHMEH Y A TUS PRECIOSOS HIJOS , ORAMOS QUE DIOS PADRE GUARDE SUS VIDAS ASTA TU REGRESO Y DE FUERZAS DE LO ALTO PARA NAGHMEH, Y ESPERANZA PARA PODER ESPERAR, TU VUELTA A TU HOGAR. “Leaving a testimony for those that follow” indeed Reyna. Hebrews 13:21-22 … may the God of peace, who through the blood of the eternal covenant brought back from the dead our Lord Jesus, that great Shepherd of the sheep, equip you with everything good for doing his will, and may he work in us what is pleasing to him, through Jesus Christ, to whom be glory forever and ever. Amen. Thanks Jim. I know you know the Lord works in mysterious ways and this one is right at the top for me (the timing of all of this is mind-blowing to me personally). Do as lead and “spread the gospel” to which all of this attests – I ask. I know where Naghmeh gets the strength to go through all of this, but honestly Jim, where does she get the strength to go through all of this? I’ll keep an eye on what you’re doing and ask the same in return. 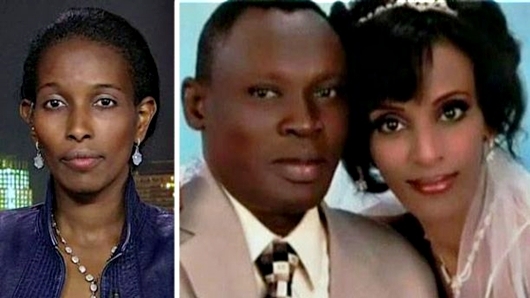 Meriam has spent the past four months shackled to the floor in a disease-ridden jail after being sentenced to death by hanging earlier this month for converting from Islam to Christianity and marrying a Christian man. Her lawyer Mohaned Mustafa Elnour said the couple are ‘happy and proud’ of their new arrival and that it has brought a momentary ray of light to an otherwise bleak and desperate situation. Mr Elnour: ‘This is a special moment for them. Daniel is delighted that he is able to see his new daughter so soon. Powerful prayers are needing for this family! 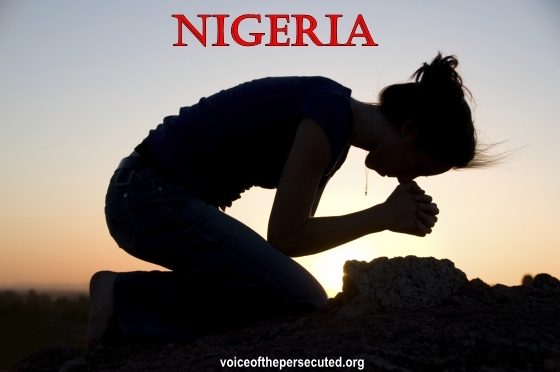 (Voice of the Persecuted) With a heavy heart, we request prayer for our dear brother and correspondent in Nigeria. Yesterday, his father was killed by the Boko Haram. His family has long suffered persecution, the loss of family members and abuse at the hands of this evil group. Please remember this family, the nation of Nigeria and all who are suffering there. Father God, we thank you for the love, mercy and grace you continually give to us. Humbly and earnestly, we ask You to hear this plea for our brothers and sisters and the nation of Nigeria. We pray for the horrific violence and senseless slaughter to end. For all agendas, evil plots (political and religious) against them be foiled. We pray for mercy on the suffering believers. 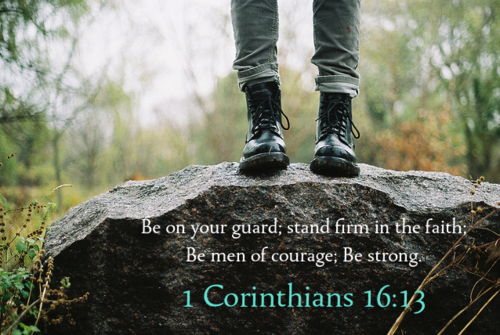 That their strength and faith to stand and endure be increased. Father, make them a Light in the darkness spreading over the region. 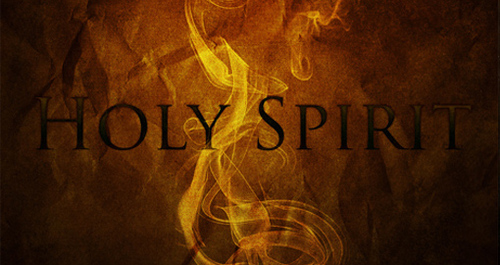 For Your Gospel to be boldly preached by them without any fear. For the lost to be found and for the lands in which we all live be more pleasing to You. 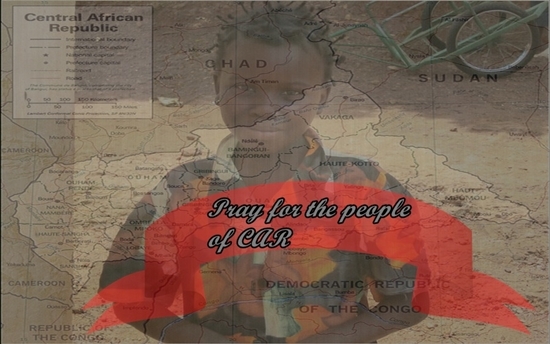 We thank you that our Christian brother who has lost his life is saved by Christ’s ultimate gift of love in sacrifice. And the promise that we will one day worship and rejoice together with him. Stay near to his family in the extreme pain of their grief. May they feel Your presence surrounding and holding them. Father, we ask for divine protection for his son who bravely goes where others will not—ministering and bringing aid to the victims of the ongoing violence. 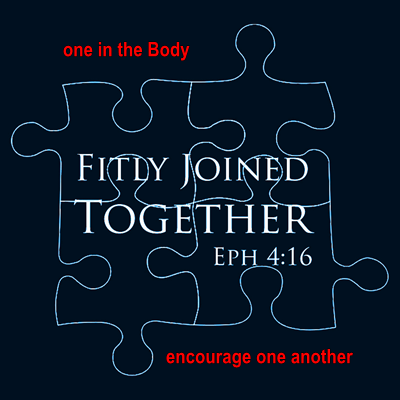 Thank you and may God bless you for caring enough to learn about our suffering family in Christ, globally. And for continually remembering them in prayer. I have been praying for you and your precious family and from all of this you have shown me how to stand firm on His word and never to stay quiet for the Lord Jesus Christ. “How to stand firm on His Word and never stay quiet” indeed Michelle. Know that the “Body” too prays for you. Dr. Mehdi Ali Qamar, an American cardiologist from Columbus, Ohio, was brutally killed in front of his wife and toddler son in eastern Pakistan this weekend. Dr. Qamar was reportedly shot 10 times by one of two men on motorbike as he entered a cemetery to visit a family grave. He was an Ahmadiyya Muslim, a religious community that faces severe governmental and social discrimination in Pakistan. Dr. Qamar was in Pakistan on a humanitarian mission, providing free services to all those in need of medical care, regardless of religion. He leaves behind a wife and three sons, ages 16, 6 and 2. Pakistan’s constitution explicitly declares that Ahmadis are non-Muslims and denies them equal rights with other Pakistani citizens, which can create a climate of impunity surrounding attacks against Ahmadis. The country’s draconian blasphemy laws further contribute to the problem. The Christian woman, Asia Bibi was denied her appeal hearing for the wrongful death sentence, this morning. Life in Pakistan grows harder each day for minorities, especially Christians. Advancing towards religious freedom in Pakistan has taken many steps backward. There is a pushing an all Islamic State and minorities are being stripped of their human rights, imprisoned or killed. We are seeking to aid a Pakistani family suffering extreme persecution and now a false blasphemy charge. A charge wrongfully imposed on them due to speaking out for the religious rights of Pakistan’s minorities and for devoutly following the Christian life. They have done nothing wrong. They are loving and giving people, many times giving to suffering Muslims. What is the Muslims issue with them? It’s simple, they are active in the church and faithful Christians. Pray for the doctor’s family in the pain of grief due to a senseless act. Pray for the dark cloud to be lifted from Pakistan and for religious minorities suffering severe abuse. And may God have mercy of His faithful. In Jesus name, we pray.